Just like any other town in the Brooklyn, New York area, Crown Heights has its own share of pest problems. There are a variety of different pest infestations that can occur, from cockroaches to bed bugs to rodents. An infestation of any kind can be harmful whether it’s disease or damage to your home. 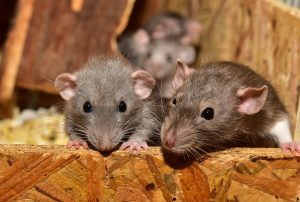 A pest that New York City is notorious for is definitely a rat. One reason is that there are just so many of them due to how quickly they breed and reproduce. They are also capable of spreading numerous diseases to people because they are so unsanitary as they crawl through garbage and filth. So, naturally they are attracted to debris and trash. Keeping your home clean and free of clutter can go a long way in preventing rodents from being attracted to your home in the first place. In some cases though, no matter how clean you try to be, rats will still find their way into your house. Besides food and water they can also be looking for shelter to keep warm and give birth. If you’re having problems in stoping them from getting in, contact one of our rat removal experts. They can eliminate the problem for you, by getting rid of the rodents in your home. Also, they will seal and close-off any entry points the rodents may be using to get into your home. 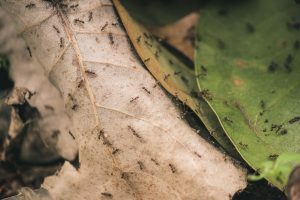 When it comes to ant infestations the biggest problem is the shear amount of them. An ant colony can be made up of literally thousands of them. It’s really not a problem that someone inexperienced can handle on their own. It definitely takes a trained ant control expert to remove them from the premises. Most store bought products and DIY methods provide only temporary relief, they do not eliminate the source of the problem. Ants can be attracted to food, water or shelter. Your home can provide plenty of all three of these three. Cleaning up any leftover food can help in reducing your chances of getting infested by ants. Also, make sure that all of your food is stored in tightly sealed containers too. The summer months are the most common time to get infested by ants, but they are active during the entire year. You can have an infestation at any time during the year. For many pests there are certain preventative measures you can take to keep them away. But when it comes to bees and other stinging insects you never want to attempt to get rid of them yourself. Some bees, like honey bees for instance, are relatively harmless. But wasps and hornets on the other hand can be extremely dangerous if you’re not careful. This is especially true if you are allergic to bee stings. Then they could be life-threatening or in a worst case scenario even fatal. In order to get bees off of your property their hives have to removed from the premises. Unless you are trained, and know exactly what you are dealing with you should always consult a professional. A bee removal expert will know what type of stinging insect you are dealing with. 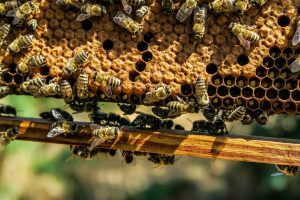 They are properly trained, and have the necessary safety equipment to remove the hive, and relocate the bees without harming them or anyone else. Most people do not even know that their house has been infested by cockroaches. 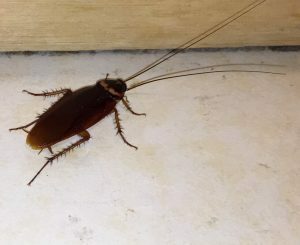 Cockroaches are nocturnal in nature so they are more active at night. It’s very common for them to scatter and hide as soon as you turn the lights on. If you happen to see one or two it’s unlikely that those are the only ones in your house. There is most definitely a lot more somewhere in your home where you can’t see them. They prefer moisture and damp places, so look around the bathroom, under the kitchen sink, and basement. Make sure that you don’t have any leaky faucets or pipes. A build-up of water can provide them the moisture that they need. It’s important to get help from a professional cockroach exterminator at the first signs of roaches. They carry various diseases which can be harmful to humans. Also, if not removed quickly, they can even cause breathing problems in asthmatics too. 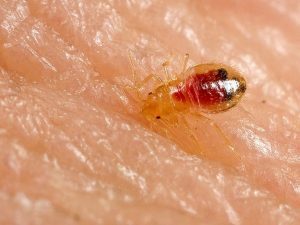 If you wake up in the morning and find red, itchy red welts all over your body it’s highly likely that you have a bed bug infestation on your hands. Bed bugs live and hide within the crevices of your mattress and box spring. They come out at night to feed on your blood while you’re asleep, leaving behind those red welts that you find in the morning. By feeding on you, they get what they need to allow them to reproduce. So, the sooner you call a bed bug exterminator at the first sign of them, you will greatly reduce the chances of them spreading. Removing bed bugs is extremely difficult, as just locating them could be a harrowing task alone. A professionally trained expert will first conduct a thorough inspection to first make sure that you indeed do have bed bugs. If you do, they will then use a specialized heat treatment that requires very little preparation or inconvenience on the part of the client. Bed bugs are a growing problem throughout all of New York City. It’s very easy to get them as they simply just hitch a ride on your clothes, and without you even realizing it, you end up bringing them into your home. Our company provides pest control in Crown Heights, Brooklyn and the entire New York area. Our technicians are professionally trained and highly skilled in handling pest infestations of all kinds and sizes. We will work with you to customize a plan specifically targeted to your pest problem needs. Contact us today for a consultation with one of our experts.